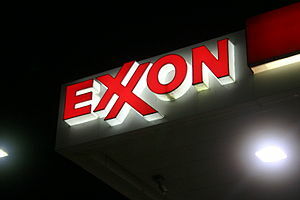 Exxon (XOM) hit a home run and reported great quarterlies. Fantastic quarterlies when you think about it. But pay attention to Chairman Rex W Tillerson. the only qualitative comment he made about a vast and extraordinarily complex company was ““Despite continuing economic uncertainty, we had strong quarterly results and continued to advance our robust investment opportunities.” Thanks Rex that really helps out with the analysis and stuff. They bought up a ton of shares and then increased the dividend payout ever so slightly. The dividend signal is that management is uncertain. This entry was posted in Stocks and tagged Caveat Emptor, Caveat Emptor Perspective, Exxon, George Gutowski, Rex Tillerson, XOM. Bookmark the permalink.